USI-ALaRI (Advanced Learning and Research Institute, www.alari.ch), an Institute of Università della Svizzera italiana (Lugano, Switzerland), was established in 1999 with the mission of promoting research and education in Embedded Systems Design. USI-ALARI was created as a joint initiative of a number of Universities, Research Centers and Companies. The main areas of the current research activities at USI-ALARI are: system specification, co-design and optimization of pervasive systems, design of robust security solutions, power-aware modeling and design for pervasive systems. 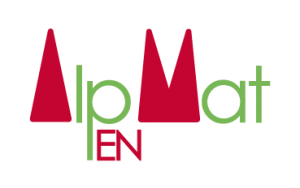 Considering the areas relevant to AlpEnMAT, past and ongoing activities by ALaRI include research on smart metering and, more recently research related to energy efficiency and sustainability. The relevant related projects include project AlpEnergy (http://www.alpenergy.net/) and AlpStore (http://www.alpstore.info) in the context of an InterReg Alpine Space programme and GeoGreen (https://esites.vito.be/sites/geogreen/),an ongoing project in scope of SmartGrid ERA-Net programme. In these project, ALaRI tackles the problem of system-level modeling of power systems, starting from user requirements collection and their translation into system and functional requirements for subsequent definition of information flow and design of the actual ICT-based enabling technologies (i.e. embedded systems).